Researchers affiliated with the University of Toronto and Sunnybrook Health Sciences Centre have invented a flexible bone stabilization device that promises to help improve the treatment of craniomaxillofacial (CMF) fractures — or fractures around the head and face. Referred to as BoneTape, the device is currently undergoing pre-clinical testing in hopes of improving CMF reconstruction. Traumatic CMF fractures commonly occur due to road accidents, sports incidents, and war-related injuries. The thin and geometrically complex bones and soft tissues of the head and face, as well as the difficult cosmetic approaches of current treatment options, makes these injuries difficult to treat. Jeffrey Fialkov, a CMF surgeon and one of the researchers credited for the invention, points out that current solutions for fractures — whether to the face or the femur — are similar. Metal plates are placed to align bone fragments and screws are used to hold the bones together while they heal. However, plates and screws are not ideal for treating some shattered CMF bones that are very thin and complex in shape. For screws to provide solid fixation, a certain bone thickness is needed, thus limiting their applicability for some CMF injuries. Reports suggest that up to half of the patients who undergo reconstructions experience complications, often requiring follow-up surgeries to remove the hardware. In an interview with The Varsity, Fialkov said that it was the “need to get facial fractures and facial reconstruction to heal without loading them up with metal” that led to a search for alternative options. Fialkov and Cari Whyne, a senior scientist and professor of surgery at U of T, studied the structural integrity of the skull and facial skeleton to determine solutions for CMF. Working with the idea of a flexible “tape-based” support system, research led by Paul Santerre, professor at the Institute of Biomaterials and Biomedical Engineering (IBBME) and University Health Network Baxter Chair in Health Technology & Commercialization, and Robert Pilliar, another IBBME professor, helped to identify the best materials to create BoneTape. Applied to the fracture site once the fragments are properly realigned, a biocompatible adhesive attaches the tape to the bone. The material is translucent, allowing the fracture site to be seen and the tape to be properly aligned. Unlike plates, which have to be moulded to closely match the shape of each bone fragment, the tape’s flexibility allows it to assume the natural shape of the patient’s CMF structure. Made from a bioresorbable material, the BoneTape does not have to be removed from the patient once the fracture has healed either. Over an 18-month period, the material “resorbs in a process similar to dissolvable sutures,” Floros wrote to The Varsity. The application of a flexible tape promises to be an easier technique for surgeons to master. Miniplates must be bent to match a patient’s bone anatomy, and screws, often less than a couple millimetres in size, are very challenging to place. Misplacements can lead to an improper alignment of the bone that may cause discomfort and pain. Use of BoneTape can also reduce tissue damage experienced by the bone during drilling for screw placement. Fialkov said that once the bones are aligned, “it does not require a lot of skill to be able to just lay the bone tape across the fractured site.” This means that procedures in the operating room will be more efficient and accessible to users. Following preclinical trials, Whyne, Fialkov, Santerre, Pilliar, Floros, and Eli Sone — a bioadhesive specialist and a recent addition to the team — plan to bring BoneTape to the market for clinical use through Cohesys, a company that Floros founded to oversee the project as it develops. A recent study published in Nature Genetics sought to determine the effects of hypoxia — low levels of molecular oxygen — on the development of cancer, including how it may speed up cancer growth. Lead author Vinayak Bhandari, a PhD candidate in U of T’s Faculty of Medicine and the Ontario Institute for Cancer Research, examined hypoxia in over 8,000 tumors across 19 tumour types. Hypoxia can have detrimental health effects, one of which is that it can cause cancer cells to proliferate. According to Bhandari, normally, blood vessels in our bodies are well-organized and able to transport nutrients, including oxygen, to all cells. This changes in tumours. Hypoxic conditions can accelerate the spread of aggressive cancer cells. In tumours, cancer cells exist with different sets of mutations. Some cancer cells will be susceptible to hypoxic environments due to their specific mutation, and these cells often do not survive. Despite the threat that hypoxia poses, it has previously been a challenge to study its effects due to the invasive and difficult process of measuring oxygen levels in tumours. To remedy this, Bhandari and his team created an innovative method for examining tumour hypoxia in more detail. Dr. Paul Boutros — former Associate Professor at U of T’s Department of Medical Biophysics, now at the University of California, Los Angeles, and the supervisor for this study — added that hypoxia and its relevance to cancer growth is still not well understood, but that this research is a significant step. “I think other researchers are going to be able to take advantage of these data to explore a lot of new angles,” wrote Boutros. Boutros believes that other researchers will begin to look at genomics associated with hypoxic cancer cells, and begin to look more into genomic data in a new light. Boutros also adds that this research highlights how hypoxic environments arise due to different factors aside from genetic mutations, including cell morphology and evolutionary properties. Bhandari emphasized the multidisciplinary nature of the team involved in the research, and how it was an asset. Need a vaccination for an upcoming trip? Is a refill on your prescription required soon? While these might seem like easy problems to fix, getting that vaccine or refill could be harder than you think. Though Health Canada created a Multi-Stakeholder Steering Committee on Drug Shortages in 2012 to tackle the drug shortage issue and also implemented mandatory reporting of anticipated and actual drug shortages by drug manufacturers in 2017, the problem continues to persist. Dr. Jacalyn Duffin, Professor Emerita at Queen’s University and graduate of U of T’s Faculty of Medicine, has been a staunch communicator on the issue. Duffin founded canadadrugshortage.com, a platform that tracks drug shortage issues in Canada. According to Duffin, individuals who rely on generic products are most likely to be affected by drug shortages. Since 2010, physicians and pharmacists in Canada have been struggling to get vaccinations and prescription medications to their patients due to a drug shortage problem. As a result, those who require these medications end up relying on alternatives that could be less safe and less effective. 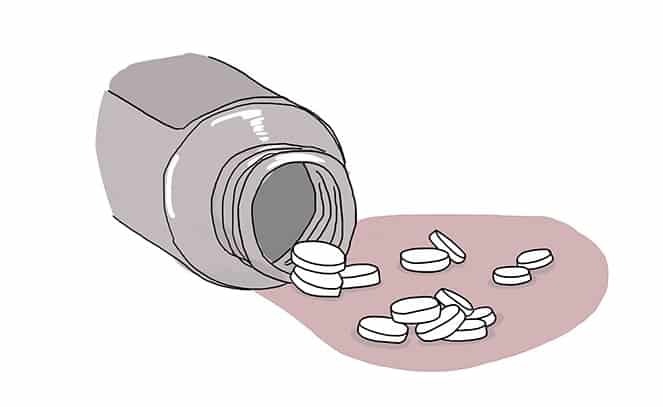 One of the drugs undergoing a national shortage is the antidepressant bupropion. This shortage is especially problematic since there are no available alternatives to the medication. Also of concern is the shortage of EpiPens, which are manufactured by only one supplier in Canada. This shortage is so extensive that Health Canada has gone so far as to recommend patients keep and use expired EpiPens in cases of an allergic reaction. Considering that about four per cent of Canadians have food allergies, it’s not farfetched to assume that many U of T students would be affected by this shortage. It might be confusing that drug companies, whose priorities are to research, develop, and supply drugs to people in need, are failing at one of these vital tasks. However, getting a pill or vaccine to the public is a process that involves much more work than one might think. A single drug must go through review, authorization, manufacturing, procurement, and distribution before it can be delivered to patients by their primary health care providers. A holdup during any one of these processes can cause a drug shortage. Among the most prevalent of these setbacks are a lack of raw materials, difficulties in manufacturing, regulatory disturbances, business decisions, and unexpected surges in public demand. Many of these issues are difficult for both pharmaceutical companies and the Canadian government to combat as they arise. For example, raw materials required for certain drugs often need to be imported from other countries. Issues like contaminated supply from one of these imports can cause an immediate holdup in the drug manufacturing pipeline. The expiration of medications and vaccines is another way in which the science of drugs and vaccines can also play into shortages. Vaccines especially should not be administered after their expiration date, as they lose their potency and efficacy over time. Companies seek to clear their shelves before vaccines expire, as it can be an expensive ordeal to make them just to throw them away, but this makes maintaining a backup supply difficult if a surge in public demand occurs. “We can’t talk about solutions [until] we understand the causes,” wrote Duffin. She also added that we can’t understand these causes until shortages are measured and an essential medicines list is made to better monitor drug supplies and sources. Such a list would include 200–500 medicines that the government would commit to keeping in stock at all times. In a 2016 report, Duffin laid out the costs and benefits of such a commitment and provided examples of where such a list has improved the quality of care in at least seven other countries. Until then, U of T students and other residents of Canada will have to hope that a drug shortage won’t affect them next. Government-sponsored screening for breast and ovarian cancer in Canada can take up to a year to occur and can be denied based on a patient’s risk profile. To shorten wait times and offer universal testing, the Familial Breast Cancer Research Unit at Women’s College Hospital (WCH) has introduced The Screen Project initiative, which aims to make screening universally accessible to patients over 18 in Canada, and hopefully produce better patient outcomes. The Screen Project has discounted its regular screening price to $99 USD for October, which is Breast Cancer Awareness Month. Ordinarily, the research unit screens patients for $165 USD. Results are expected within two to four weeks. Why isn’t government-funded screening universal? According to Dr. Steven Narod, Director of the Familial Breast Cancer Research Unit at WCH, screening through Canada’s universal healthcare system costs around $2,000–3,000 and wait times can last up to one year. As a result, as little as three per cent of women are eligible for the test per year. But in 2017, the Familial Breast Cancer Research Unit found that commercial genetic testing could be completed in a shorter amount of time and for a fraction of the cost by sending samples to Veritas Genetics, an American genetic sequencing laboratory with whom the Unit has partnered for The Screen Project. Veritas Genetics tests for BRCA1 and BRCA2, which are gene mutations associated with breast cancer. Women with a BRCA mutation have up to an 80 per cent lifetime risk of breast cancer and a 40 per cent lifetime risk of ovarian cancer versus a 12 per cent and a 1.3 per cent lifetime risk for women without the mutation, respectively. To provide a genetic sample for testing, patients order a genetic test kit from Veritas Genetics, provide a saliva sample, and then ship the kit and sample back to the Veritas Genetics lab. The lab tests the sample and releases the results to the patient and the Familial Breast Cancer Research Unit. Patients with a negative test result receive an email or letter of notification. But patients who produce a positive test result receive an email or letter, as well as a personal phone call from a genetic counsellor at the Familial Breast Cancer Research Unit. According to Narod, The Screen Project’s offer of “genetic testing for breast and genetic testing for ovarian cancer” for $165 USD is “ethical and wise,” since it is affordable for most Canadians. As The Screen Project continues, Narod plans to track the interest in genetic testing for breast and ovarian cancer in Canada, patient satisfaction afterward, and the actions that the project and patients choose to take to reduce their risk of breast and ovarian cancer following a positive test result. Marijuana is set to become legal across Canada this week, and Canadians must be well equipped to confront any downstream effects this historic move may have. The Canadian Tobacco, Alcohol and Drugs Survey found 3.6 million — 12 per cent of Canadians — used cannabis in 2015. Of that population, 24 per cent said they used cannabis for medical purposes. Following legalization, individuals should be more cognizant of the effects of marijuana, and specifically ways in which it can affect the brain. The endocannabinoid system is a complex signaling system in the brain and surrounding tissues. Though it is not well understood, it has been shown to play a role in immune functions and the development of the nervous system. It is also the system that processes cannabis and plays a role in producing the associated neurological effects. The system consists of endocannabinoids, cannabinoid receptors, and enzymes that transform endocannabinoids in the body. Broadly, endocannabinoids like anandamide and 2-arachidonoylglycerol are a class of cannabinoids — chemicals present in cannabis — that bind to receptors in cells. Once bound, endocannabinoids act on CB1, a cannabinoid receptor that is found in the brain. Cannabidiol (CBD) and tetrahydrocannabinol (THC) are the two most well described cannabinoids in marijuana. CBD does not produce any of the psychoactive effects, and has been found to block some of the effects of THC by interfering with CB1 receptors. Structurally, THC is similar to anandamide — a naturally occurring endocannabinoid — and has been shown to activate the endocannabinoid system. “[CB1 receptors] are found in many brain regions that control mood, appetite, memory etc. They inhibit the release of an inhibitor transmitter called GABA and this can lead to increased activity of certain brain excitation pathways,” U of T Professor Ruth Ross explained in an email. Ross’ research investigates the molecular pharmacology of cannabinoids. There is hope that medical research with cannabis and recreational users will benefit from its legalization. Ross said that many medical claims are made about cannabis, but it can actually make some conditions worse. “It is almost unknown of any person who has overdosed on cannabis,” Andrea Furlan, Associate Professor in the Faculty of Medicine and Staff Physician and Senior Scientist at the Toronto Rehabilitation Institute, wrote to The Varsity. However, because of the psychoactive effects associated with marijuana, it could result in “acute psychosis, paranoia, anxiety, or fear,” and such effects could cause harm to individuals or those around them. The Canadian Institutes of Health Research is prioritizing research on neurodevelopment, prevention, harm and treatment of problematic cannabis use, potency and product safety, social determinants of health, relationship of cannabis use and mental health, potential applications of cannabis, and pain management. “We hope that with legalization there will be more scientists interested in this area, and that Canada will be a leader in research in the world,” Furlan said.